Go from physical to digital instantly. 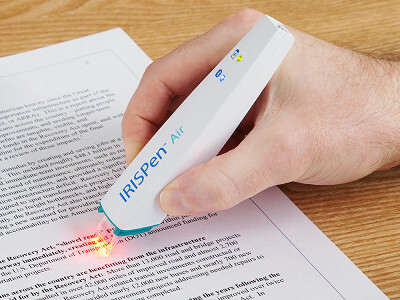 These portable document scanners transform any physical image—from a recipe, to a book, to a handwritten note—into an image that goes directly into your device via Bluetooth or WiFi. The scanners are compact enough to slip inside a backpack and high-tech enough that you can copy, paste, and edit any text that you scan. There’s bound to be a design that suits your needs. With the mouse scanner, for example, you swipe over things to capture. The scanning pen takes your handwritten notes and turns them into editable type. There’s even a scanner that's specialty is books and magazines, letting you scan a page per second. When we found out IRIS is backed by photo company Canon, it made sense why these scanners create super-sharp images. Portable and powerful, IRIS scanners will let you grab a an editable digital image—fast—from just about anywhere. Hello everyone! I'm proud to introduce IRIS portable scanning devices to The Grommet. I'd be happy to answer any questions you have! 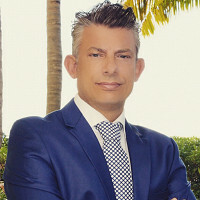 Since you can edit, copy and paste the scanned image, can I assume you can also save the image? Yes you can save as a JPG, PNG, PDF. Noob question here :) With the mouse scanner - does it store each swipe of a page as a separate document? If so - how hard is it to merge them together? Yes each page is separate. You would need a separate tool to join PDF files together. You can find any number of free tools to do this on the internet. @Casey Can you re-read Kathleen's question? I interpreted her to be asking if each swipe was a different file. Is that the question you are answering Casey? @Jules Thanks - that is what I was asking - If I swipe across a page, then want to drop down and do the middle of the page - how does one merge them together if they are stored as separate pages. ARE they stored as separate pages? As you scan a video is actually being taken. As you swipe the software automatically joins the pieces together to form a single image. You can scan back and forth, up and down or in circles. The final image is only formed when you click the Ok button. Hi -- what's the maximum size any of these scanners can scan in one piece? Thanks. I would like to know which would suit my needs, for the Portable scanners, Anywhere 5 or the Book 5, what are the differences. They seem to both do the same thing. I work on family history from time to time and when I get a chance I go to family reunions and sometimes there are items I find that I want to get a copy, it is not always convenient to get a copy and so I miss my chance to get that photo or document for my own records, Can you tell me which would be best in this case? The Anywhere 5 is a sheet fed scanner so it has to be individual sheets. The Book 5 scans over the top of the page which is good for books that you don't want to harm. Will these save scanned images to an iPad? It depends on the product. The Anywhere 5 Wi-Fi and the Book 5 Wi-Fi can. Does this device work on a Mac? The feed-through on the Anywhere 5 does not take letter sized paper? Yes it will scan letter sized sheets. While I think the idea is great I take issues with most of the varieties. Mainly it's cost prohibitive because it's a single scenario each one of the formats excels at. Which makes very good at one thing. So in order to match a wider gamut of each situation, one must by each. I will focus on my hang-ups about these products even though there is much good to say about both the products and the concept. The mouse was the most flexible and unique of the 3 however @400 dpi it's 200 dpi less than most higher quality scans. The wired version is limited to the distance away from the PC and the wireless version ups the price to close to the higher level page scanner model. The OCR pen would have to have some impossible to acquire software in order to buy it at this price point. OCR has come a long way and similar products exist outside of The Grommet. You say 149.95, I say 49.95. Lastly, the page scanner is just right, but it contends with similar products on the market and would benefit from it's companion products. If I were you I'd consider reducing the pricing and bundling the products together in different configurations. "more for less" so to say. Good luck. I've always preferred Corel/WordPerfect. But I never need all of the 'office' features. Do these need a specific option? There is a Word Perfect output option which works best with simple documents that don't have multiple columns. Would one of these work to scan say a 20 x 16 photo or piece of artwork? Would the optical resolution be good enough to make a quality print? Yes you could do that with the mouse at 300 DPI. Print quality is usually 600 DPI. Can you scan to your phone? 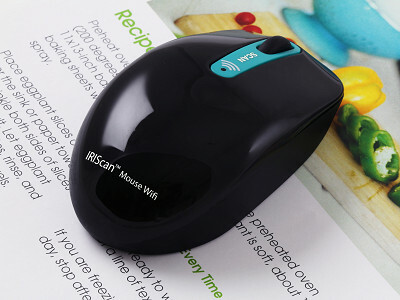 Using the IRIScan Anywhere 5 Wi-Fi and Android the scan can be sent immediately to the phone. For iOS you would upload the already scanned images. Does the item you are scanning have to be flat? I need to copy images on curved surfaces sometimes .... especially on motorcycles. Would this work? No this would not work as it is designed for flat surfaces. I have two questions. 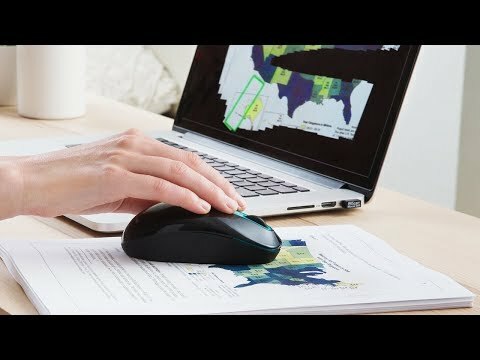 At what dpi does the wireless mouse scan? And, why are these devices any better (i. e. why are they "Grommet-worthy") than the mouse scanners already on the market? Thanks. The mouse scans a 400 DPI. Our differs in that we are an OCR software company and incorporated our software into the mouse while the others license from third parties. The Anywhere and Book 5 can be plugged into the computer via USB or connected via Wi-Fi. The Wi-Fi is more useful for the mobile apps. The IRISPen Air can also connect via USB or Wi-Fi. I would like your opinion. I an the habit of running to a store to scan and send I need a device that produces vivid pictures but not nessarily high volume. Which scanner would you suggest? Certainly a flatbed scanner is the best choice for high quality images. But they are big and take up space. These have a small footprint so are more convenient. I would use the IRIScan Anywhere5 for that purpose. What is the benefit of the anywhere scanner as compared to the book scanner? The Anywhere is a sheet fed scanner that comes with full page OCR and business card software. It is small and pretty fast. The Book scanner scans on top of sheets that you don't want to tear out of a book. Scanning with it is slower because you have to manually position the scanner rather than just feeding sheets into it. Recently my computer crashed, shame on me for not having a backup. One of my biggest issues is recreating documents. Is it my understanding that I can use the scanner and edit the documents after they are scanned? Can they be edited after they have been saved? If so do they have to be compatible with a certain program like Word or Pages? Go from physical to digital instantly. These portable document scanners transform any physical image—from a recipe, to a book, to a handwritten note—into an image that goes directly into your device via Bluetooth or WiFi. The scanners are compact enough to slip inside a backpack and high-tech enough that you can copy, paste, and edit any text that you scan. There’s bound to be a design that suits your needs. With the mouse scanner, for example, you swipe over things to capture. The scanning pen takes your handwritten notes and turns them into editable type. There’s even a scanner that's specialty is books and magazines, letting you scan a page per second. When we found out IRIS is backed by photo company Canon, it made sense why these scanners create super-sharp images.